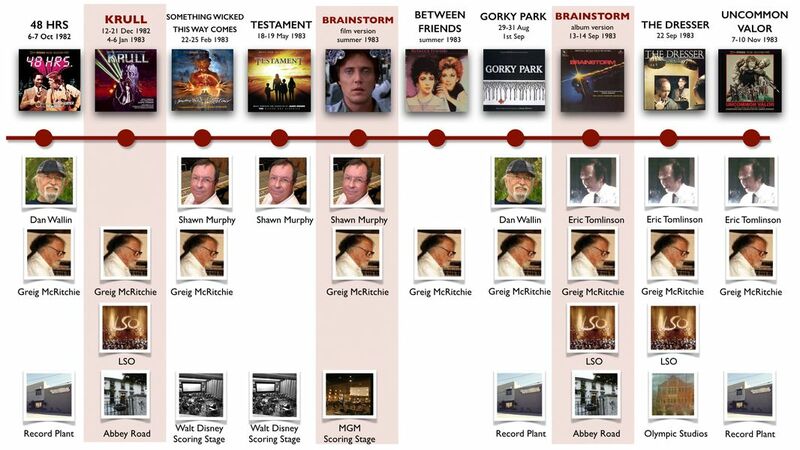 Fond Memories is our step-by-step overview of James Horner’s career. We aim for it to be as comprehensive as possible. If you have additional information that is relevant to this episode, please do not hesitate to contact us. 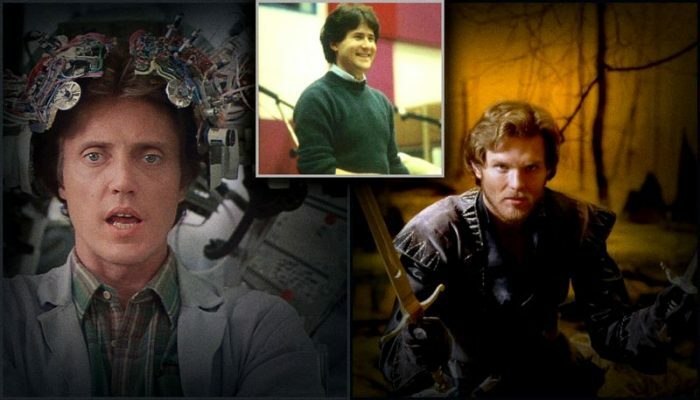 This seventh episode covers the year 1983 and especially Brainstorm and Krull, two early highlights of James Horner’s career. 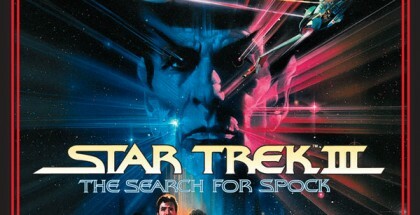 The success of Star Trek II: The Wrath of Khan (see episode 6) and 48 HRS, the two movies entrusted to the young James Horner by Joel Sill, vice-president of Paramount Pictures’ music department, were seminal influences in the young composer's career. Indeed, after these two 1982 features, the assignments came hot and fast. Hollywood embraced the young Horner overnight and 1983 yielded a remarkable slew of scores featuring no fewer than seven major features and one television score. 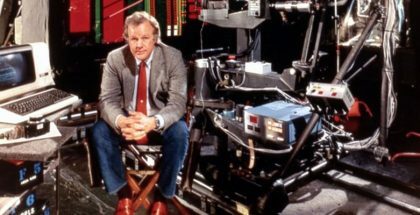 Beyond the element of quantity, the 1983 projects are also wildly ambitious and prestigious, a novelty in Horner’s budding career. Gone were Roger Corman’s low-budget kitsch outings (see episode 3), as important chances as they were for Horner to experiment and develop his scoring chops. Now, however, he was invited to play in the big league: Krull was budgeted at a then-colossal 23 million dollars, while Something Wicked This Way Comes and Brainstorm also benefited from comfortable budgets to the tune of $19 million and $15 million, respectively. 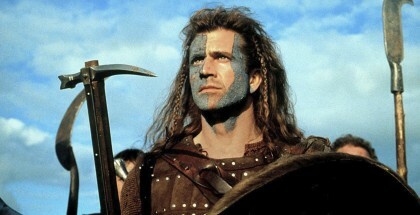 In order to keep up with the busy schedule and to help him meet the ever-increasing artistic and musical demands placed on him by the films he was asked to score, James Horner called on composer-orchestrator Greig McRitchie, who at the time worked steadily with Basil Poledouris (Conan The Barbarian). Greig McRitchie’s contribution is considerable: he multiplied the composer’s orchestral choices and brought along a great deal of experience and knowledge of instrumental colors. Beginning at the tail end of 1982 with Walter Hill's 48 HRS, their collaboration would extend all the way to 1995’s Casper, covering a little over twenty-five projects, which amounts to a quarter of James Horner’s film music output. Apart from Testament, a Lynne Littman drama small enough for James Horner to handle the intimate orchestrations all by himself, Greig McRitchie is the common thread that runs through the scores of 1983. 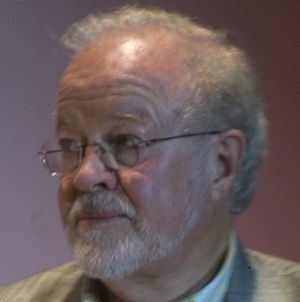 Along with the musician and programmer Ian Underwood, who joined Horner on Wolfen in 1981, McRitchie is one of the composer’s first regular collaborators. 1983 also sees the first recordings made with the London Symphony Orchestra at the legendary Abbey Road studios in London, where James Horner grew up and would have liked to spend his life. Sizeable budgets, a talented orchestrator and renowned orchestra make up the high-quality environment in which Horner would produce two outstanding scores for Krull and Brainstorm. The Beast, a horrible creature hidden in his Black Fortress, and his masked riders, afflict terror on the planet Krull. Only two kingdoms still resist, deciding to join forces through the marriage of their heirs Colwyn and Lyssa. During the wedding ceremony, however, Lyssa is abducted. Assisted by a cyclops and a whole band of rebels, Colwyn embarks on a perilous journey to save his stolen wife. 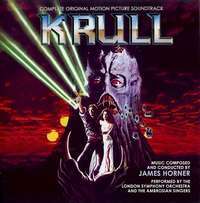 Krull kicked off 1983 for James Horner. Directed by Peter Yates (of Bullitt fame), it is a heroic fantasy epic produced by Columbia to capitalize on the success of Star Wars (1977). In 1981 Paramount had already tried to ride the wave generated by George Lucas’s famous saga but Dragonsayer had been far from the commercial success the studio had hoped for. History would repeat itself with Krull, which was lambasted by critics and largely shunned by the movie-going crowds. In the fall of 1982, when James Horner had made Krull his first project after 48 HRS, Columbia confronted him with a punishing scoring schedule, the film being months behind schedule and still locked for an early Summer release, coinciding with Return of the Jedi. 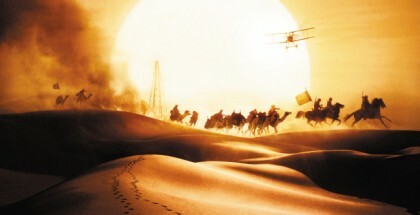 That left James Horner with barely seven weeks to compose 110 minutes of massive orchestral music. Horner used the Ambrosian Singers along with a few boys from the Desborough School of Maidenhead for the highest vocal registers. 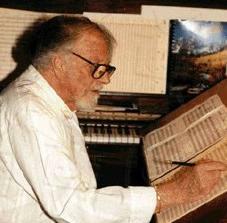 The comfortable music budget allowed Horner for the first time to have his music performed by the London Symphony Orchestra. Recording sessions took place at the end of December 1982 and at the start of January 1983. Aged 29, James Horner was the youngest composer to ever conduct the LSO. 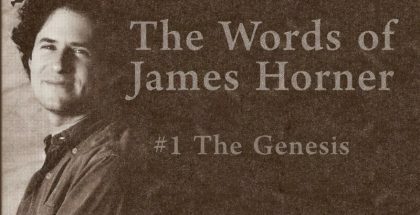 After eight exhausting days of music recording, Horner battling a winter virus, the orchestra offered him a standing ovation. Krull is particularly rich music. To be sure, tight scoring schedules are often a curse, but a composer’s savoir faire and talent, combined with excellent teamwork, often yields small miracles. The miracle achieved by Horner on Krull is the combination of the "heroic fantasy" template set by John Williams in Star Wars, and his very own musical inclinations. Indeed, James Horner tips his hat to the majestic gestures of Richard Strauss and to the great musical form of the symphonic poem – think Also Sprach Zarathustra, op. 30 in the first bars, or occasionally An Alpine Symphony, op. 64 in the dominant role of the horns (fanfares) and the strings (romantic), and even György Ligeti (in the use of male chorus, dissonance and atonality). These influences are a perfect fit for the story’s narrative arc and the emotions conveyed by the visuals. But Horner goes beyond them and also sneaks in little Golden Age references, paying hommage to Errol Flynn and Erich Wolfgang Korngold: the swashbuckling spirit of The Adventures of Robin Hood is evident in Slayers' Attack and Battle on the Parapets. Moreover, some of the orchestral tutti evoke what Bernard Herrmann did in such fantasy films as Mysterious Island, Widow's Web and the Death of the Beast recalling Herrmann’s trademark alternation of high and low notes. There’s also the obvious nod to Holst’s Planets (Mars in particular, for the arrival of the Beast and the Fortress). For better or for worse, Planets has become a "musical library" of sorts for composers of fantasy features. Horner also references Stravinsky’s Sacre du Printemps, which John Williams had already used for the Tatooine scenes in Star Wars. In Krull, it can be heard in Quicksand and subsequently in Inside The Black Fortress. And to cap it all off is a small Horner touch, the famous major / minor tutti à la Britten, heard in Wolfen (1981) and returning in Krull’s Destruction of the Black Fortress. Krull was the result of hard work, unwavering dedication to the project and meaningful musical-intellectual reflexes, the culmination of a style that Horner had been developing since 1978. 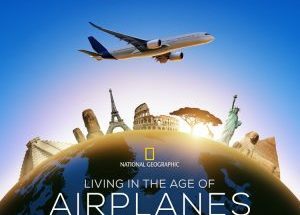 Everything that had happened since the Corman productions and low-budget experimentation comes to fruition here and matures into a wealth of ideas realized by sizeable resources made available to the composer. Each musical sequence vibrates with the youthful energy of a 29-year-old composer who pulls out all the stops. The uninhibited rambunctiousness that makes Krull such an enjoyable listening out of its film context, exists comfortably alongside such classics as Conan The Barbarian, Star Wars, Young Sherlock Holmes, Indiana Jones and Star Trek: The Motion Picture. These scores are a far cry from the underwritten and poorly orchestrated rubbish of present-day Hollywood blockbusters. Which composer today treats us to anything as exciting as Ride of the Firemares, which opened Krull’s first album incarnation? Where do we hear a dizzying use of choruses, either celestial women’s or children’s voices, or growling and deeply expressive male chorus? Where is the rich harmony reminiscent of Maurice Ravel’s Daphnis and Chloé? Gone are orchestrations that shine like a myriad of colors worthy of Ottorino Respighi, whose influence can be heard at the start of Quest for the Glaive, especially the use of celesta, harp and children's chorus. 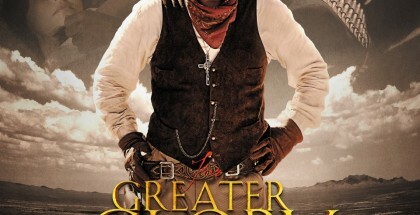 Then the narrative develops, the music faithfully following the action as per the needs of this type of movie. The love theme replete with voluptuous strings comments on Colwyn and Lyssa’s passion and expresses the innocence and fervor of youth, the start of The Slayers Attack and their reunion in Inside The Black Fortress good cases in point. Voluptuous strings play under the kidnapping of Princess Lyssa or the attempt to destroy the Beast with the magic weapon, a movement that builds in tension and power, typical of 80’s Horner music and of Brainstorm especially. In Krull, however, love has two faces, the second one far more tragic as it reveals the union of the sage Ynyr and the Widow, who also bears the name Lyssa, expressed by melancholy female chorus and strings. The velvety strings that open The Widow's Lullaby and Ynyr's Death look forward to Collage, Horner’s flamboyant return to the concert hall 32 years after Krull. The fantastical aspect allows for musical experiments, such as the hanging notes and harmonics of The Walk to the Seer's Cave, a moment of musical hypnosis; the arpeggios of Seer's Vision; the counterpoint of a stern male chorus (for the Beast) and a distant and eerie love theme (for the imprisoned Lyssa) at the beginning of Quicksand; mystery and anguish in The Changeling; the echo chords in Vella. In these small and often atonal moments, one finds some of the pearls that might also have been a part of Spectral Shimmers, Horner’s concert piece that was performed only once in January 1979. 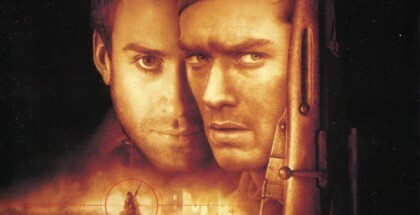 Within the limits imposed on the composer by the nature of cinema, James Horner turned The Widow's Web into an impressive atonal piece, a wonderful tribute to the power of Ligeti: the sound palette (piano chords, plucked string effects) as well as forte dissonant passages for choir and orchestra give the sequence an extraordinary depth. Stylistically Krull laid the foundation for many later scores, looking forward to Willow especially. The latter score has moments of sheer brilliance (the opening nine minutes, for instance) and adds substantial new colors, owed in part to Tony Hinnigan and Mike Taylor from the Incantation group interacting with the orchestra and the choir, but even that top-notch Horner score cannot eclipse the miraculous moment of music and cinema that was Krull. This score will live on as a prodigious union of a highly talented young composer and the best musicians London has to offer. 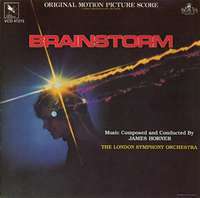 Uniquely in the composer's career, Brainstorm's score was first performed in Los Angeles, at MGM’s recording studio, and then re-recorded digitally for album purposes with the London Symphony Orchestra accompanied by the Ambrosian Singers and the Boys Choir of New College in Oxford, two ensembles that James Horner knew from his studies at the Royal College. The album's recording took place on 13 and 14 September 1983 at Abbey Road Studio, nine months after Krull. Meanwhile, James Horner had worked on four other projects in Los Angeles: his first Disney film, Something Wicked This Way Comes, Testament, the TV movie Between Friends (see episode 5) and Gorky Park. 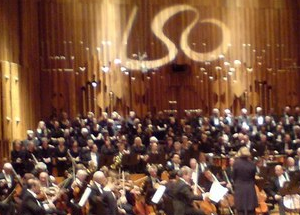 Again waving the baton in front of the LSO, this time around James Horner encountered some difficulties with turbulent London musicians who did not really take him seriously. Brainstorm is a score that serves its dramatic needs but goes one step further, displaying that rarest of things: an exciting and deeply musical quality. The rich quality of the writing that exists comfortably within the constrained format of cinema music but requires great dramatic intelligence, yields a series of small musical vignettes of a stunning stylistic diversity and reminiscent of a remarkable amount of different time periods: the choral writing by Palestrina, the classical period between Mozart and Schubert and stretching all the way to contemporary standards such as Ligeti, all tied together by melodies which speak to the essence of the film: a metaphysical theme for chorus which debuts in the opening crawl and returns frequently later on; rhythmic motifs that energize the scenes of suspense, contemporary writing for virtual reality set pieces and which are a brilliant aural counterpart to Trumbull’s visual creations, and finally material that acknowledges the love story of Michael and Karen. Brainstorm was James Horner’s tribute to György Ligeti, who had taught his young pupil so much during Horner’s classical education, when he went to Germany to attend Ligeti’s classes. Douglas Trumbull was the special effects wizard who had designed a door to the stars during the third act of 2001 A Space Odyssey, joining Stanley Kubrick in popularizing the work of one of the greatest composers of the 20th century. 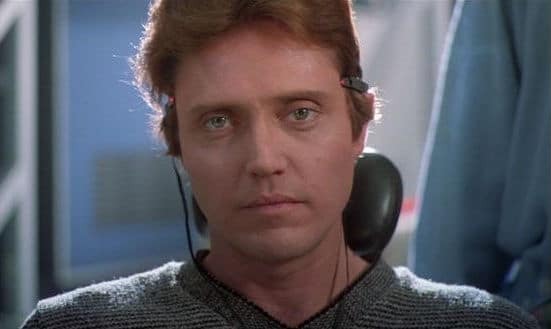 Brainstorm provided Horner with a unique opportunity to toy around with a musical idiom that was certainly more audacious than the film industry’s conservative tastes. Many elements heard in Brainstorm were hinted at or explored by Horner in previous scores, including the aleatoric writing of Final Playback and brass playing reminiscent of Deadly Blessing. Gaining Access to the Tapes would return ten years later in Sneakers and Clear and Present Danger. Finally, the choir material that speaks to the metaphysical aspect of Trumbull's film (which addresses the mystery of life after death within the science fiction genre), plays a major role in the musical orientation of the film. Not until Willow, The Land Before Time and especially Glory would Horner allow the choir to take center stage again. 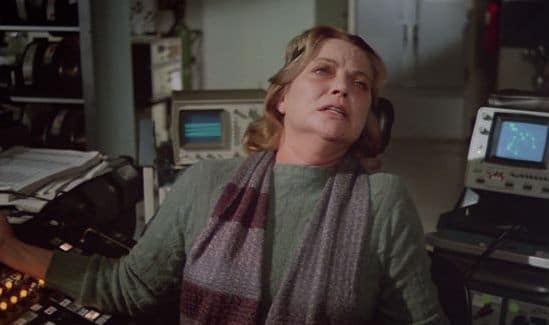 What is great about the Brainstorm score is the purely musical treatment it brings to some of the film’s crucial scenes, and which makes them stand out so well: Lilian's heart attack is accompanied by Mahlerian prowess, an orchestral crescendo that sends shivers up the audience’s spine, already containing the four-note death motif which would become one of the staples of James Horner’s career. The scene of the memories shared between Michael and Karen (Michael's Gift to Karen) is treated with a delicacy that combines music, silence, romanticism and classicism. Varèse Sarabande’s album is the best possible presentation of the barely thirty-minute score. However, these thirty minutes ended up having a profound influence on the composer’s career. And you have to wonder what a score for a metaphysical thriller like Brainstorm would sound like today. It would undoubtedly be treated to an array of samples, loops, synthesizer programming, its composer assisted by an army of arrangers and orchestrators. 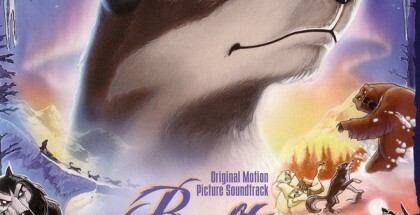 In the intervening thirty years, a vast rift has developed between the world that nourished a talent like James Horner and the one that produced many of the composers working today in Hollywood. Douglas Trumbull was intelligent enough to take an imperfect film (Natalie Wood’s untimely death troubled the shoot and the movie’s subsequent release) and accept a score that approaches the subject with great intelligence, gives it a place within a larger framework of music history and meets the emotional demands of the material. Brainstorm is not the kind of score that comes along every week. Krull and Brainstorm confirm the momentum created by Star Trek II: The Wrath Of Khan. These two scores constitute a flamboyant diptych which expresses the energy and the knowledge of a 30-year-old composer who had decided only a few years before to throw himself body and soul into the wondrous marriage of music (bringing along his classical and scholarly background) and image, in an industry that often has little mercy for true artists. In just five years, James Horner went from AFI student films to blockbusters produced by Columbia, Paramount and Twentieth Century Fox, catapulting him into the Hollywood stratosphere. 4 – “The Master out of his Cocoon” by Didier Leprêtre, Dreams to Dream … 's. 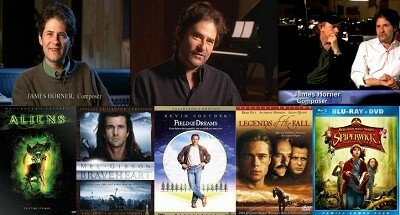 5 – A Conversation with James Horner – CinemaScore, issue # 11/12, 1983; interview by Randall D. Larson. Another most wonderful piece. Thank you to all concerned. Each time I visit London from home, I have to pass by Abbey Road and each and every time I think of James being there with his music. Oh what a treat that would have been to actually be there for a recording. So it would appear he loved London very much, so even more appropriate for a concert of his music in tribute. To read Spectral Shimmers has only been performed once, 38 years ago. I am sure there must be many musicians who could perform this, and other of his fabulous pieces. What an event that would be. I visit the Royal College of Music regularly for their Masterclass performances ….to think James could have given one of these on composition, if he ever had free time. But it is very rewarding to think this musical place helped him on his path to what he became. It is such a great shame that, after Sony Classical saying that Romeo and Juliet recorded would be made available ….and none of us have ever heard the wonderful artists involved in the making of it, Alison Balsom, Iestyn Davies, the choir and Sissel plus fabulous musicians. And it all started back in the 1980s-a superb item #7. Thank you so much for your piece today. Pamela. Brainstorm is my favourite Horner score. It still sounds fresh and vibrant decades later. 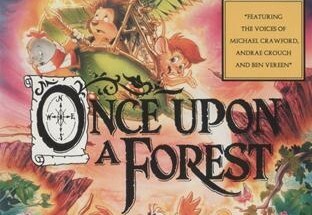 I wish the film vetsion could be released someday with the re-recording as a deluxe edition. Thankyou for this informative article.